The Chinese New Year is one of the world’s largest festivals and is celebrated worldwide, in countries including Singapore, Thailand, Australia, America, Canada and across Europe. In the UK, celebrations will be taking place in London, Edinburgh, Birmingham, Manchester and Liverpool from the 5th to 10th February, however there are plenty of other ways that your group can commemorate the holiday, year-round. 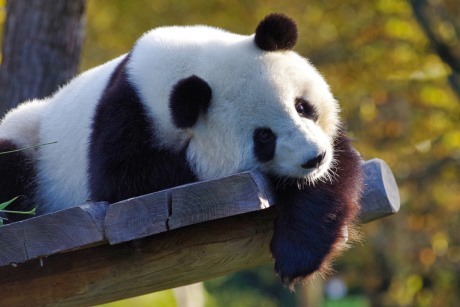 While China is famed for its culture, it is perhaps most well-known for its adorable residents – the Giant Pandas. If you’d like to catch a glimpse of them without trekking halfway across the world, you’ll need to take a trip to Edinburgh Zoo as it’s the only zoo in the UK that is home to the species. The Terracotta Warriors was arguably the most surprising archaeological discovery of the 20th century. Now, groups can visit the Terracotta Warriors Museum in Dorchester to marvel at replicas of the eighth wonder of the world, and listen to audio commentaries telling of their fascinating and cultural story. For a cultural insight, the Oriental Museum in Durham should be on the cards. The museum is devoted entirely to the art and archaeology of the cultures of both Northern Africa and Asia, and its Chinese collection comprises of more than 10,000 objects, giving you plenty to explore. Outdoors, The Chinese Dairy at Woburn Abbey and Gardens, the Pagoda at Kew Gardens and the National Trust’s China Garden at Biddulph Grange are all worth visiting as tributes to the country’s natural elements. Of course, there is no better way to celebrate China in all its glory than by visiting the Asian country for yourself and luckily there are numerous tours available that will take you on a trip to see its highlights. Intrepid Travel offer a range of small group tours, from a nine-day China Highlights itinerary to a 19-day China Experience, giving you the chance to explore some of the famous spots, alongside some of the more remote villages. Similarly, STA Travel offers a range of China Adventure Tours, from its eight-day Beijing to Shangai Adventure Tour, to its 21-day Essential China trip that will take you to some of the country’s top sites and cities. If you’re interested in seeing the legendary Great Wall of China, and the country’s mascot, the Giant Panda, On The Go Tours’ Great Wall & Pandas 14-day trip will take you to see both, in and amongst visiting other sites in Beijing and Yangshuo. 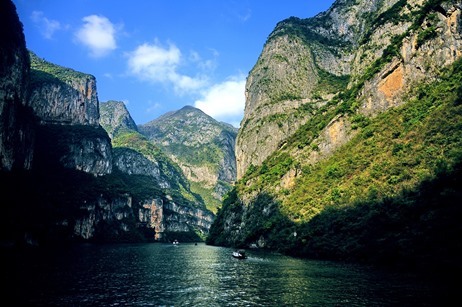 Or, for a trip that will see you exploring some of the country’s more natural spots one minute, and then wandering through some of its bustling cities the next, you should consider Wendy Wu Tours’ 14-day Majestic Yangtze tour. Go from relaxing during a Yangtze River Cruise, or meeting the Giant Pandas of Chengdu, to taking in the cities of Shanghai, Xian, and Beijing. To celebrate its ten-year anniversary, Cruise & Maritime Voyages (CMV) has revealed its 2020 cruises, with new itineraries expected. Review: Is Florida still the entertainment capital? Graham Yandell visited Orlando Florida back in April, his first in nine years, and found plenty of changes.